WILL VASELINE HELP MY EYELASHES? Will vaseline help your lashes? This is a common beauty question and understandably so: everyone wants a cheap home remedy to help make their eyelashes longer, fuller and sexier. Today we’ll settle the score once and for all on whether or not vaseline can help your eyelashes. Help how? Keep reading below. Let’s do something sleuthing. Vaseline is a pretty common household product, but what is it really? Vaseline is also known as petroleum jelly, used as a lubricant and ointment. Vaseline is made from petroleum. It doesn’t mean it’s not safe, but it totally weirds me out that gasoline is also made from petroleum. Not to mention, given that Vaseline is derived from petroleum, it is not always made from renewable resources. Vaseline has been used since the 1870s, when Robert Chesebrough was awarded a patent for the process of turning petroleum in petroleum jelly (Vaseline). Since then they’ve sure made a lot of products from that first patent! But is vaseline going to help your eyelashes? Let’s keep looking..
Is Vaseline safe to use on my eyelashes? Vaseline is safe to use as a moisurizer around the eye area. In fact, many moisturizers are not safe to use near the eyes, but Vaseline is both safe and effective for the eyelids and skin under the eyes. One thing you should be aware of is that petrolatum is not typically fully refined in the US, which means it could contain toxic chemicals called PAHs. Make sure that it’s fully refined by the company as white petroleum first, before purchasing or using near the eyes. Let’s just say Vaseline is–for the most part–safe to use on the lashes BUT.. will it help them? How can Vaseline help my eyelashes? As a lubricant, vaseline is a great moisturizer for lashes. It can moisturize dry eyelashes just like it can moisturize dry skin. It’s great for a minimal look: it looks just like clear mascara, leaving lashes glossy looking. It’s a great starter cosmetic for girls 10-12, who are thinking about beauty but aren’t ready for full color cosmetics. But can Vaseline help grow your eyelashes? There’s no evidence pointing to the fact that Vaseline can grow eyelashes. It can protect and moisturize, but Vaseline does not contain any elements known to help grow longer eyelashes. The known ingredients for thicker and longer eyelashes are currently prostaglandins (found in the prescription product Latisse) and essential fatty acids (found in Wink). 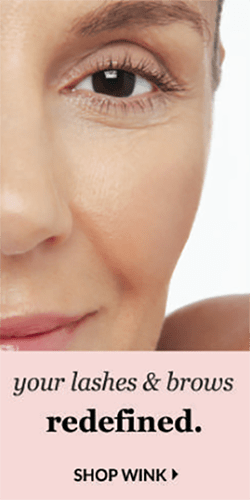 Prostaglandins have been shown to increase the length of the growth cycle, leading to longer eyelashes, while essential fatty acids may be able to stimulate dormant eyelash and eyebrow follicles to grow again. Some companies also use peptides for eyelash growth, but the jury is still out on peptides for eyelash growth. Conclusion: How can I grow my eyelashes? We suggest using a product with prostaglandins or essential fatty acids in the formulation. Prostaglandin does come with the side effect of darkened irises and darkened skin around the eyes. This means if you have blue eyes, a prostaglandin-based eyelash enhancer formulation could turn your beautiful blue eyes brown. However, Vaseline will not help grow your eyelashes. Learn more about how eyelashes grow: Take a WINK science lesson! A formulation like Wink’s will feel a little strange at first: it’s oil-based, so it will feel like Vaseline. But don’t be mistaken: Wink is not the same to Vaseline. Wink’s formulation is full of essential fatty acids from natural need and seed oils. 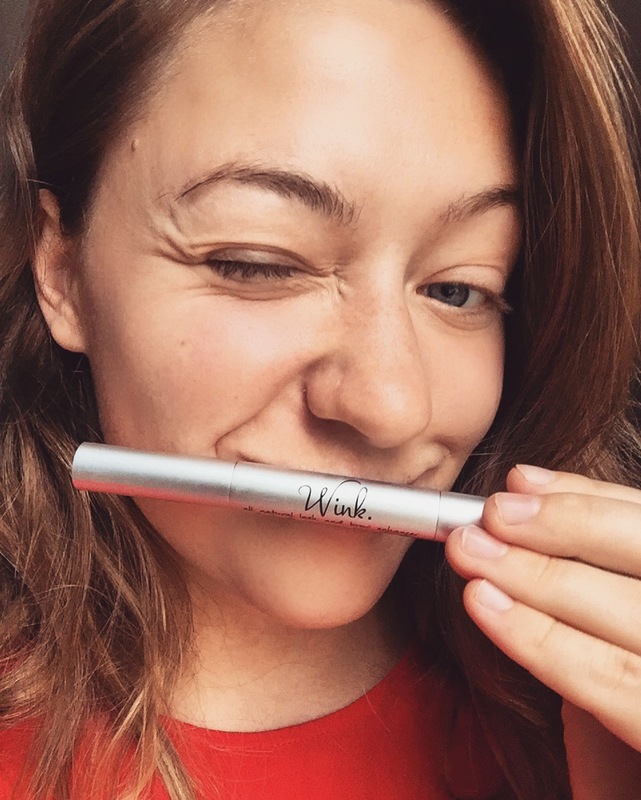 The modern diet is extremely deficient in essential fatty acids, so adding a product like Wink to your regimen could greatly improve your eyelashes’ condition. Why not try it? 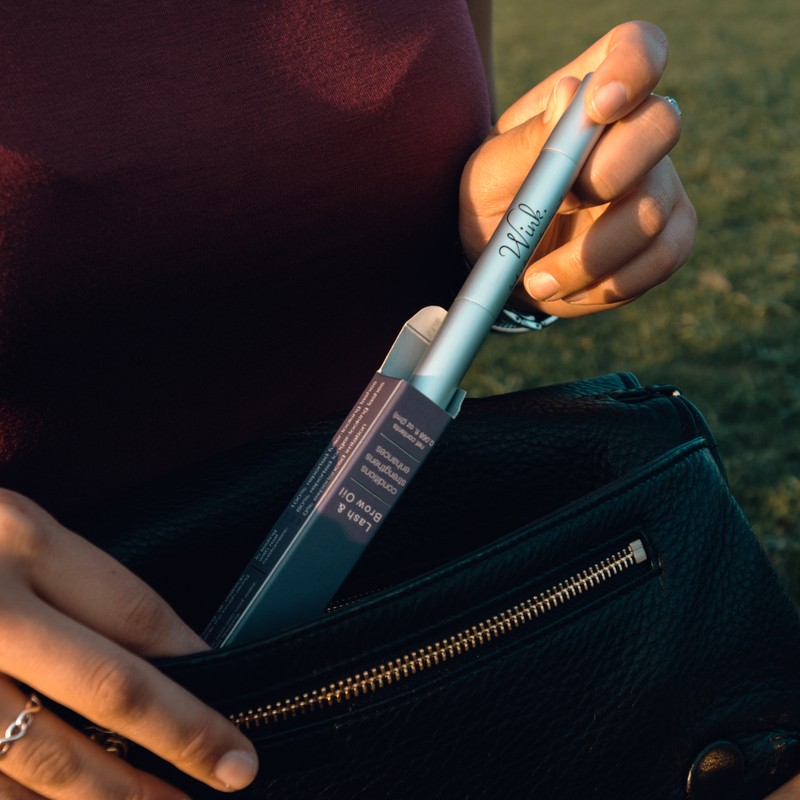 With a money-back guarantee and science-backed formulation, Wink is worth a shot! That is great!I love this blog!